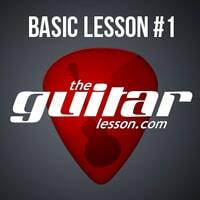 Welcome to our free basic guitar lessons series. With the help of our beginner guitar lessons and these free video tutorials, you'll be able to learn the fundamentals of playing the acoustic and electric guitar, everything from guitar anatomy, to strumming chords, to playing lead guitar. All videos on our website include on-screen animated tablature, which guarantees that following the lessons will be as easy as possible. Our basic guitar lessons were designed to give you the fundamental building blocks required to advance as a guitarist. 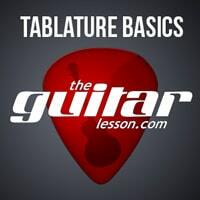 You'll learn every beginner guitar technique with our free online basic lessons. Make sure you watch the video tutorials over as many times as you need to, and practice the techniques you learn afterwards. Some things will not be very easy at first, but with practice, you’ll be able to strum the guitar, change chords, and use lead guitar techniques to make up your own riffs and solos. Each one of the above lessons teaching basic guitar techniques focuses on separate aspects of playing the guitar. Regardless of whether you prefer the electric or acoustic, you will need to master the techniques in the lessons, which you will be able to build on and advance to different areas of playing the guitar. 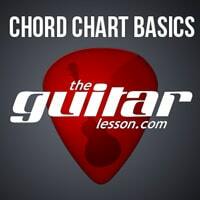 You can start playing songs right from the beginning, so make sure you check out our section on easy guitar songs. Playing songs will really give you a good chance to practice the techniques you learn with our basic video guitar lessons, and have you making music while you refine your skills. Knowing the correct technique is half the battle, but actually mastering the things you learn with our basic guitar lessons will be your job. We’ve done everything we can to give you the free best guitar educational material possible, so you can be off to a good start on your guitar journey. Learning and mastering the guitar takes many months of practice, which can be difficult at times. I want you to know that every guitarist went through the initial learning process, just like you are now. Keep at it, and you’ll be playing anything you want, all it takes is a bit of dedication.